Another new batch of Clone Wars Battle Packs has arrived at Target stores around the USA. The two new sets in the Wave 2 revision cases hitting now are Stop the Zillo Beast and Capture of the Droids. Both sets appear to be simple repacks sets, so feel free to skip them unless you are collecting the battle game cards! Thanks to a Yahoo Japan Auction, we've got our first look at the exclusive promo Kubrick from the Medicom Toy Exhibition '11 Preview Party at Japan's Parco Complex. 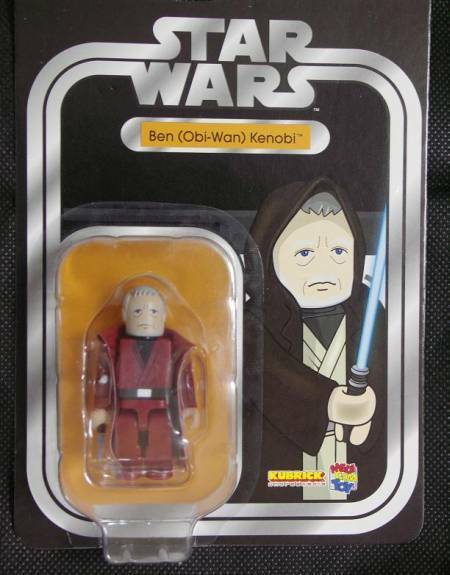 The carded Obi-Wan Kenobi is a 'gray haired' variant of the Obi-Wan figure from recently released DX Series 3. Be prepared for high prices once he hits eBay! LucasArts has updated the Star Wars: The Old Republic website with some news from this year’s San Diego Comic-Con. A select number of people had the opportunity to play through The Esseles, a low-level flashpoint event that Republic heroes will be able to experience for themselves early in the game. The gang at Yakface have posted a new album of photos of the Clone Wars Republic AV-7 Mobile Cannon on their Facebook page. Follow the link to check out the photos and look for this at a store near you soon! Another new batch of Clone Wars Deluxe Figure & Vehicle sets (aka the 'Rebel Strike' sets) has started popping up at Target. The lone new set in the two Wave 1 revision cases hitting now is the Y-Wing Scout Bomber & Clone Pilot Warthog, but the cases also include a number of repacks - Naboo Star Skiff & Anakin, BARC & Clone Trooper Jesse, and more! A trio of new exclusive items have arrived at Toys R Us stores - the Clone Wars Stealth Operations Clone Trooper figure, the Clone Wars Separatist Speeder & Geonosian Warrior, and the Star Wars Rebel Transport Speeder & Rebel Ground Crewman. When I spotted them here in Minnesota today, the Stealth Ops Trooper was $7.99 and the Deluxe sets were $17.99 each. Entertainment Earth is running a new T-Shirt Sale this week. For every three t-shirts you order, they'll give you a fourth (of equal or lesser value) for free! Just put four t-shirts in your cart and they'll add a coupon that gives you the lowest-priced T-shirt for free! The sale runs through August 2, 2011. StarWars.com has posted a preview of the upcoming LEGO Star Wars Character Encyclopedia from DK Books. 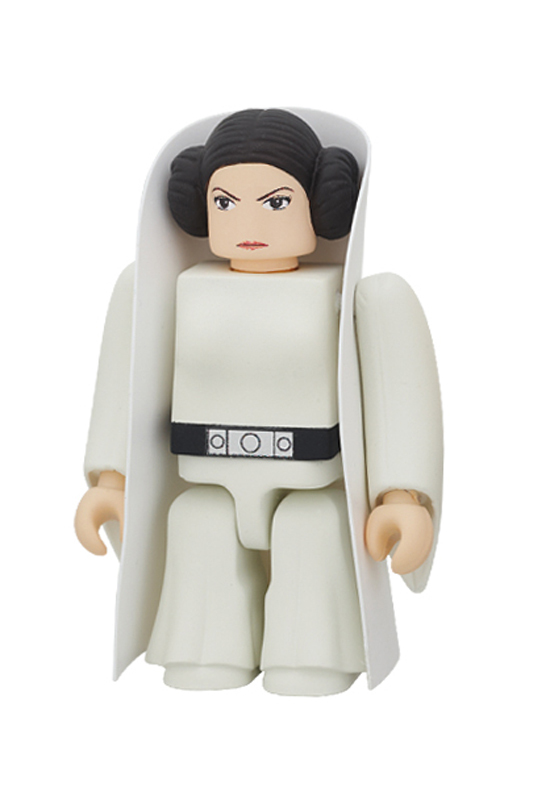 The book features the hundreds of LEGO Star Wars figures produced to date, each with its own page listing. If that's not enough, it includes an exclusive LEGO mini-figure too! 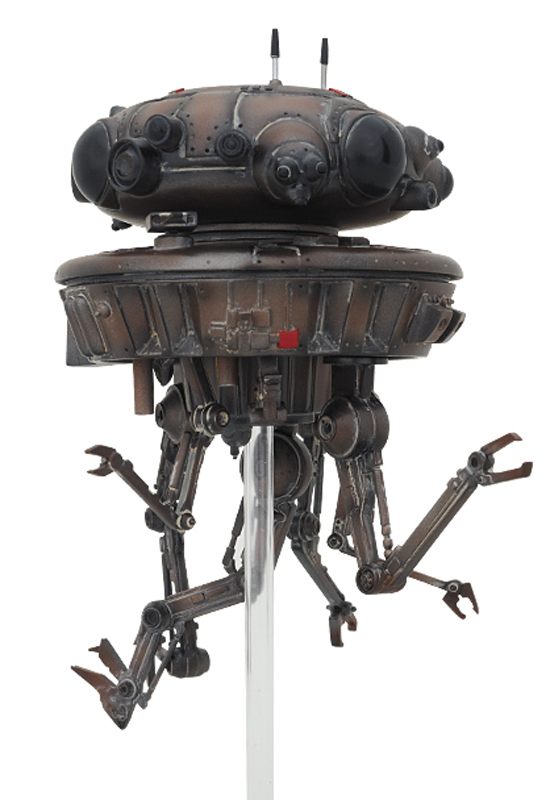 The UK Supreme Court has ruled against Lucasfilm in the final appeal of their ongoing copyright case against British prop designer, Andrew Ainsworth. The court ruled that Stormtrooper Armor, which was originally built by Ainsworth, was technically a functional work rather than an artistic one, and therefore not subject to full UK copyright laws. Well, that didn't last long. The exclusive Revenge of the Jedi Death Star Mega-Box Set has come and gone and is now listed as "out of stock" at HasbroToyShop. No word if more will show up again, but it doesn't seem likely, so we hope you got one if you wanted one. UPDATE:The Indiana Jones "Lost Wave" Box Set is "out of stock" now too! Kubrick Collectors rejoice! 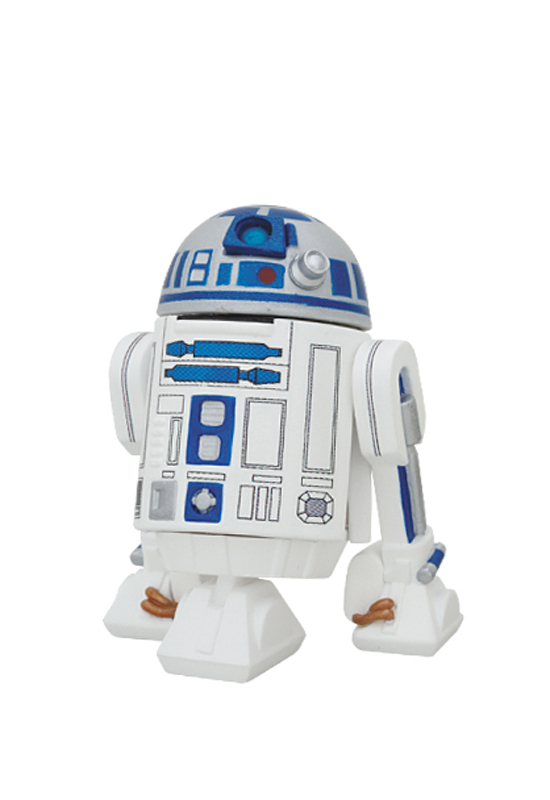 The big day is here as Kubrick Star Wars DX Series 3 has finally arrived! 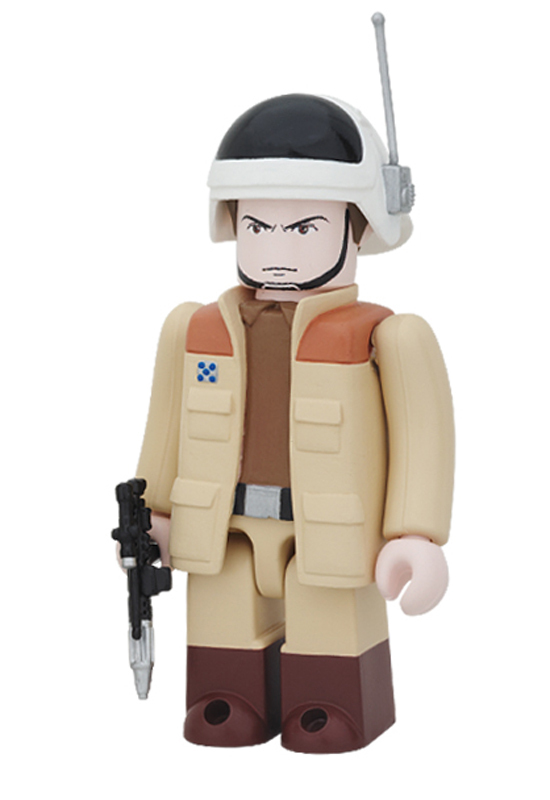 With the official release of DX Series 3, we can finally lock down some info on the chase figures - Uncle Owen, who can be found in the Obi-Wan Kenobi box, and Hammerhead, who can be found in the Sandtrooper box. Thanks to the gang at Instinctoy for the images and info. Pantheon, the seventh installment of The Lost Tribe of the Sith, is now available for download. The series, which was designed to complement the Fate of the Jedi series from Del Rey books, is written by John Jackson Miller and focuses on, well, a lost tribe of Sith descendents. 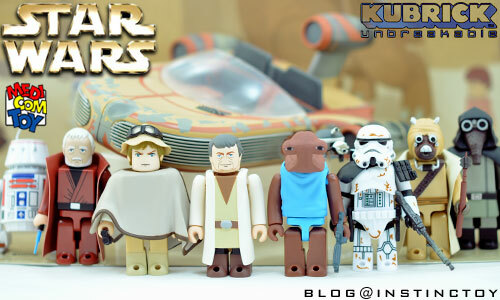 Did you watch and love LEGO Star Wars: The Padawan Menace like I did? ('Ian' was great!) Were you hoping to watch it again and again? Well then, you're in luck - The Padawan Menace is coming to DVD on September 16th. 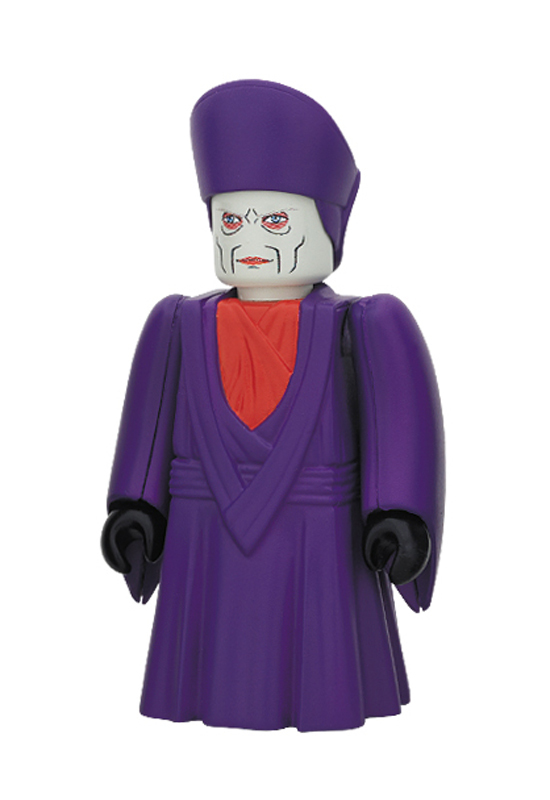 The DVD will include five additional LEGO Star Wars shorts, as well as an exclusive collectible minifigure! The newest Clone Wars Battle Packs have hit Target stores in the midwest. The bad news is that Battle Packs are now down to just three figures in a box; the good news is the price has dropped to $19.99 to make up for it. The new wave includes four new Clone Wars sets - The Hunt for Grievous, Assault on Geonosis, Cad Bane's Escape, and Defend Kamino. According to multiple reports from the Comic-Con floor, the exclusive Revenge of the Jedi Death Star Set has sold out at Hasbro's booth. It sounds like a very limited quantity will go up for sale at HasbroToyShop on Tuesday morning, so clear some time on your schedule if you want a chance to buy one on-line! 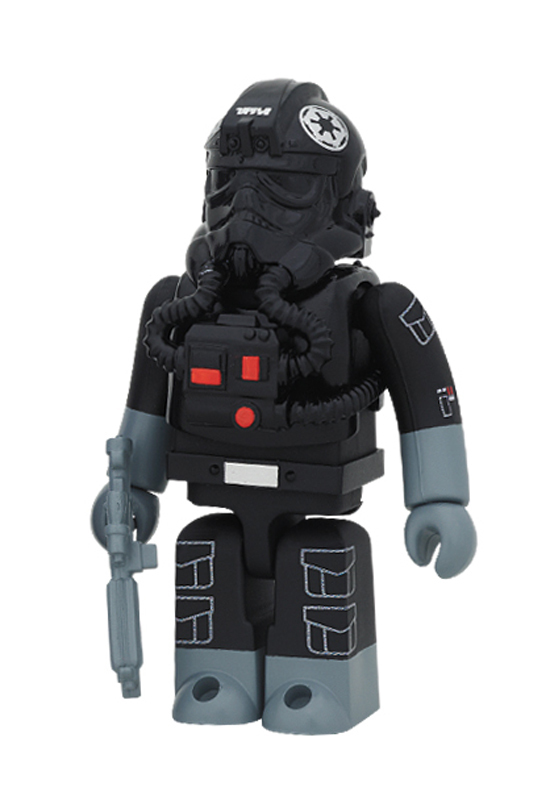 Medicom Toy has officially announced Kubrick Star Wars Deluxe Series 4, which was previewed at the 2010 Medicom Toy Exhibition over a year ago. 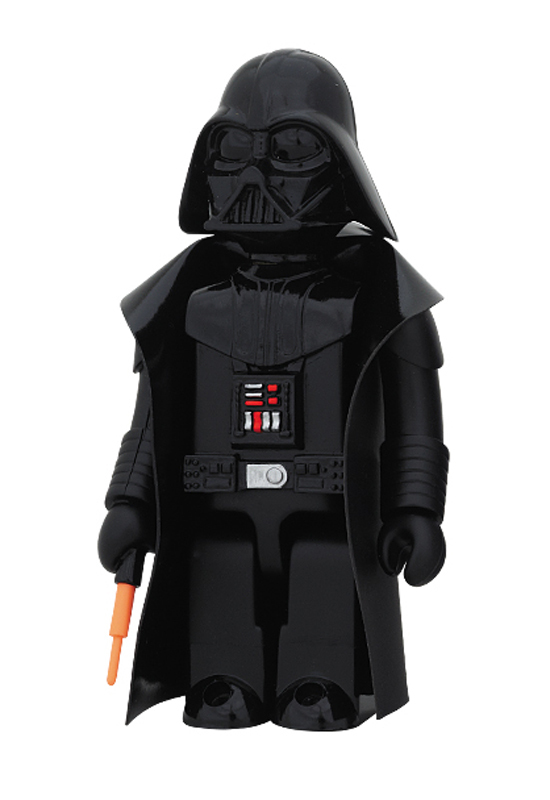 Deluxe Series 4 is scheduled for December 2011 and contains six new Kubrick figures - Darth Vader (Vinyl Cape), Imperial Dignitary, TIE Fighter Pilot, R2-D2 (3-legged), Princess Leia (Vinyl Cape), and Captain Antilles. Continuing the Deluxe Series "build-a" concept, if you collect enough of the figures in Deluxe Series 4, you'll be able to build a Probot! 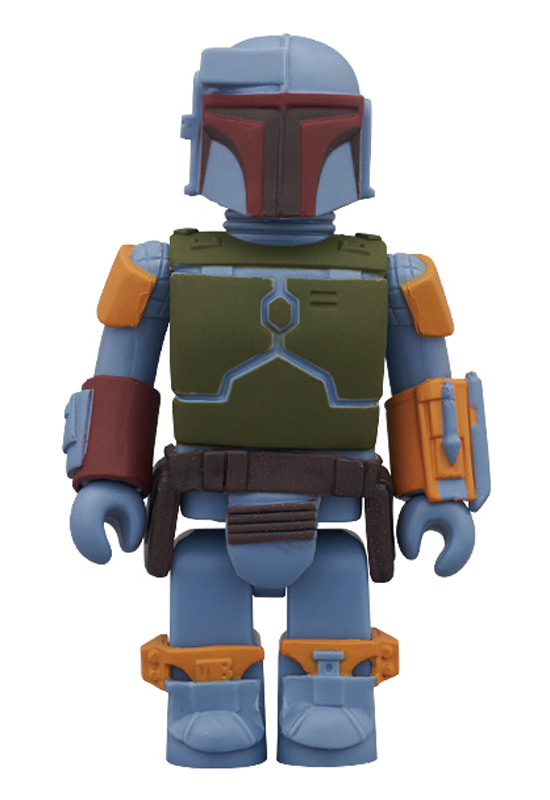 Medicom Toy has also announced an exclusive Kubrick Kenner Boba Fett figure. Fett will be sold at the 2011 Medicom Toy Exhibition event and limited quantities will be available through the Medicom website after the show (Japan customers only). 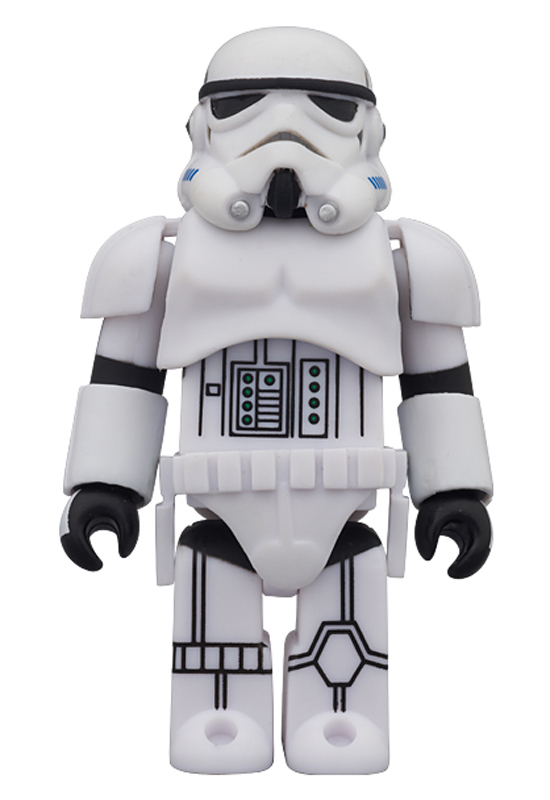 One more Kubrick announcement for today - Medicom has also announced an exclusive Stormtroper for the 2011 Medicom Toy Exhibition event. This figure will also be sold at the show with limited quantities available through the Medicom website afterwards (Japan customers only). We now move from the land of Kubricks to the land of Be@rbricks. 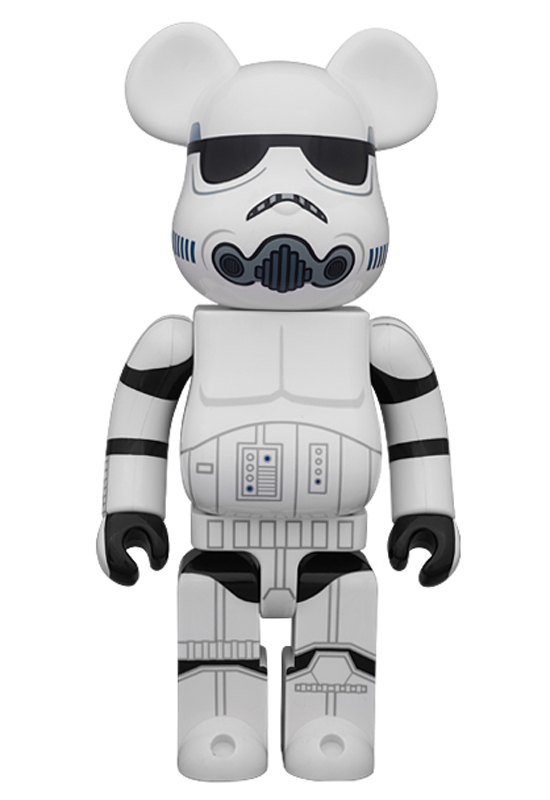 Medicom Toy continues the updates today with news of a limited edition 400% Be@rbrick Stormtrooper figure! He will be released August 13th and is limited to just 800 pieces worldwide. Dark Horse Comics and Lucasfilm have announced that Star Wars comics will soon be hitting the Dark Horse digital store. Over 50 comics ranging from classic Marvel to the newer Dark Horse series are now available for purchase, so click on over and start filling up your e-reader today! A few folks have reported finding the newest wave of Target exclusive Vintage Collection Nostalgia 3-Packs (DPCI 087-06-0302). This wave includes three new 3-packs - an Android Set (C-3PO, R2-D2, Chewbacca), an Imperial Set (Imperial Officer, Dengar, AT-AT Driver), and Imperial Forces (Bossk, IG-88, Snowtrooper). LucasArts has updated the Star Wars: The Old Republic website with Join the Fight, an all-new game trailer that premiered at Comic-Con. The trailer highlights the end of the uneasy peace established by the Treaty of Coruscant as the Galactic Republic and Sith Empire prepare for open war. Our pals at JediDefender.com have posted all of the slides from Hasbro's San Diego Comic-Con 2011 Presentation. Head on over to check out the Star Wars goodies and store exclusives shown at today's Hasbro panel! StarWars.com has posted a new Star Wars on Blu-ray teaser video. Follow the link for a sneak peek at some of the never-before-seen deleted scenes that will be included in the Star Wars: The Complete Saga Blu-ray set. Hooray for new Mon Cal characters! The Official Star Wars Website has also posted a new Season Four Teaser video for The Clone Wars animated series. Follow the link to check out the newish footage and prepare for debate on how this version of the Battle of Mon Calamari will compare to previous versions! At Comic-Con, Microsoft announced a new limited edition Star Wars Kinect Xbox360 console. The bundle includes an R2-D2 themed 320 GB console, a C-3PO inspired controller, a Stormtrooper inspired Kinect sensor, the Kinect Star Wars video game, and more! Follow the link for all the details. Entertainment Weekly has posted a new Clone Wars Season Four preview! The new trailer offers a sneak peek at an upcoming story arc that features the return of the Death Watch Mandalorians, including a trooper voiced by Katee Sackhoff of Battlestar Galactica fame. Star Wars: The Old Republic MMORPG for Pre-Order! LucasArts has announced they are now taking pre-orders for Star Wars: The Old Republic. Can't wait to play? Then head on over and buy now because the order that Pre-order Codes are redeemed is the order that players will gain Early Game Access before the game’s official release! Just a reminder that LEGO Star Wars: The Padawan Menace will premier on Cartoon Network tomorrow, July 22nd, at 7:00pm (ET). The thirty minute original standalone special will feature situations, characters and locations from throughout the entire Star Wars Saga. Set your DVRs now! StarWars.com has updated with a look at the cover art for Star Wars: Revan, the third Star Wars: the Old Republic novel from Del Rey Books. The book, which was written by author Drew Karpyshyn, reveals what happened to Darth Revan after Knights of the Old Republic. The gang at Sandtroopers have posted a whole bunch of pictures from Hasbro's display at San Diego Comic-Con 2011. Follow the link to check out the great new replica Kenner packaging for the new Luke's Taun-Taun and the rereleased Landspeeder. A nice showing so far, hopefully there will be more to see on Friday! Sideshow Collectibles has posted a new teaser image today to finally and officially reveal their 12" General Grievous figure. Priority Pre-Ordering will begin sometime after Comic-Con, so be sure to keep an eye on future issues of the Sideshow Newsletter for updates! Sideshow Collectibles has also posted a new teaser image for their recently revealed 12" Boba Fett figure. Priority Pre-Ordering will begin sometime after Comic-Con so, once again, be sure keep an eye on future issues of the Sideshow Newsletter for updates! Sideshow Collectibles has announced the new Legendary Scale figure line. The details are a bit fuzzy, but it sounds like they will fall someplace between the 1:4 scale Premium Format figures and the 1:2 scale Legendary Busts. The line will kick-off with a Star Wars inspired Obi-Wan Kenobi figure, with Priority Pre-Ordering taking place sometime after Comic-Con. The second figure in Sideshow Collectibles' new Legendary Figure line (see above) will be Darth Maul. Much like Obi-Wan (and everything else they've previewed lately), Priority Pre-Ordering will begin after Comic-Con. LEGO Gets a Full DC Universe License - Marvel too! As you know, we love to dabble in LEGO sets and DC Universe toys from time to time here at hanshideout.com, so this announcement makes us very happy - LEGO has received a full DC Universe license! Look for LEGO's new DC Universe "Super Heroes" to be unveiled at Comic-Con and look for the sets to hit stores in January 2012. UPDATE: Looks like LEGO has a new deal with Marvel too - cool! The Star Wars on Blu-ray Box Sets have been found at a local Target store here in Minnesota as part of Target's Fall toy aisle reset. The sets are priced at $24.99 each, which isn't a terrible deal for 4 pretty good figures. Thanks to fellow Minnesota collector Dan for the tip! Another Target find to report - the Clone Wars Republic Attack Shuttle has also started hitting Targets here in Minnesota (DPCI #087-06-1822) as part of the Fall toy reset. This one is priced at $79.99, which is a little on the spendy side all things considered. Thanks again to Dan for the tip! If you've got an iPad, you'll be able to get a sneak preview of the Star Wars: The Complete Saga on Blu-ray starting tomorrow. The Star Wars Blu-ray: Early Access App will be available for iPad only as a free download at the iTunes store on July 20th in the USA. The App will become available to all iDevices (iPad, iPhone, iTouch) on August 2nd in the USA. Sideshow Collectibles has posted a new teaser image to announce their upcoming Asajj Ventress Life-Size Bust. Priority Pre-Ordering will begin sometime after Comic-Con. Keep an eye on future issues of the Sideshow Newsletter for updates! The Pennsylvania Star Wars Collector Society is selling another exclusive medallion with the proceeds going to charity. This year's medallion will benefit Operation Troop Appreciation, which supports deployed military personnel by shipping them comfort items, equipment and other wish list items. Check out JediDefender for all the details. Just a reminder that San Diego Comic-Con 2011 kicks off with Preview Night tomorrow, July 20th! While we aren't able to bring you live coverage from the convention, we'll do our best to cover the major announcements and images from the show. Here's hoping for many great surprises from Hasbro once again this year! Entertainment Earth is now taking pre-orders for Wave 9 of Hasbro's Vintage Collection basic figures. The wave includes more of the "Revenge" carded variants and three new figures - VC68 Rebel Trooper (Echo Base), VC69 Bastila Shan, and VC70 Ponda Boba (Walrus Man). Sideshow Collectibles has posted a new teaser image to announce their upcoming Life-Size Han Solo in Carbonite Figure! Priority Pre-Ordering will begin sometime after Comic-Con. Keep an eye on future issues of the Sideshow Newsletter for updates!